I always find it refreshing to discover that a writer who is so gifted in one field of writing can cross so seamlessly into another. 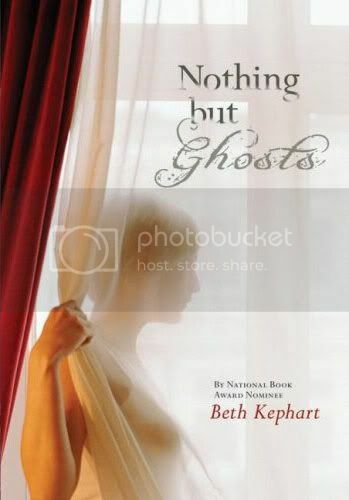 I have read Beth Kephart before, who has written some of the most beautiful memoirs I have ever read (Into the Tangle of Friendship and Ghosts in the Garden, among others that I have not had the privilege of reading). She has a way of capturing words and painting a picture with them. If you've never read her memoirs before, go, read her words. You'll understand what I mean. I recently had discovered that she had made the jump from memoir to young adult novels, but I had not had the opportunity to pick one up yet. When I learned that she was releasing a new book recently, I made it a point that this would be the book that I would pick up, to discover how well she handles herself as a writer of fiction, and I'm am not sorry that I did. Nothing but Ghosts is an engrossing and eloquently told story story of love and loss, of mystery and sorrow, and ultimately in learning to deal with all of these things. Sixteen year old Katie has been learning how to avoid life since loosing her mother cancer. She has lost contact with her best friends, in fear that she'll need to talk and answer their questions. She lives with her father, who is coping with the loss of his wife in his own way. In order to not think too much, Katie has taken a job working the gardens on the estate of Miss Martine, a recluse who has not been seen outside of her home in over 50 years. While working on the gardens, Katie also meets Danny, and over the course of the summer their friendship begins to bloom into something more. Curious as to the disappearance of Miss Martine, and the mysterious silence that always follows her questions, Katie begins to do some research of her own, and begins to discover pieces of a much larger puzzle; one that doesn't entirely differ from her own sense of loss. As Katie begins to put all these pieces of the puzzle together, she begins to understand more about herself and her own sense of loss and how to deal with it. The characters in Nothing but Ghosts are believable and honest. I particularly enjoyed Katie's interactions with her father; their relaxed feelings toward each other and thei situation, as they both try to make the best for each other. The romance between Katie and Danny is not over-played, therefore not detracting from the rest of the story. I am pleased to discover that Beth Kephart can handle fiction just as well as she handles memoirs, though I didn't truly think I had much to worry about. I'm looking forward to reading more of her novels in the future. The Demigod Files was a short, filler book that was released just prior to the release of the fifth and final book in the Percy Jackson and the Olympians series to whet everyone's appetite for more adventures with their favorite Son of Poseidon. Included in this book are three short stories of Percy's further adventures since the fourth book, (poorly written) "interviews" with some of the main characters, a map of Camp Half-Blood, and some other odds and ends. Overall a cute little interlude in the story, but nothing that actually moves the story along. I've really had a hard time coming to terms with how disappointed I am in this book. The Shadow of the Wind remains one of my favorite books, and I was thrilled when I discovered that Zafón had written another book, and even more thrilled when I discovered that it is a prequel of sorts to Wind. Well, that's about as far as my enjoyment of this book has gone. 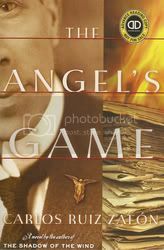 I've been reading The Angel's Game for the better part of three weeks now, and have not even reached 150 pages. I keep telling myself that it will get better, but as I look at my TBR pile that is growing exponentially, I realize that I just don't have the time or the patience to be able to spare on a poorly written book, regardless of how good the author has been in the past. The story has not moved forward at all, it seems very disjointed and unorganized, and I find that I really don't care how the story is going to end nor what is going to happen to the characters. Hopefully, I'll be able to pick it up again soon, but for the time being, I have far more books that are grabbing my attention right now. The fourth installment in the Percy Jackson and the Olympians series finds Percy and friends in the labyrinth, in search of Daedalus, to try to keep Luke and the forces of Kronos at bay and keeping them from overtaking Camp Half-Blood. I've heard from several people that the first three books of the series are the best, and that the series begins to fall apart with the last two books. I don't agree with this. I think the fourth book has shown the most promise so far, taking on a more serious tone and turning from just a fun, romping read into something a little more serious. Percy begins to see the consequences of his and others choices and actions, and begins to act a little more realistically to the situation at hand. Riordan does still keep the usual levity in the story, though. As usual, there seemed to be rushed moments in the book. For this book, it seemed to me that the final battle was too rushed, but I feel that way frequently about the final confrontations in YA books. It just always amazes that an entire book can be taken to get to the confrontation, yet the confrontation is over in one single chapter. I guess I just always enjoy the build up to the battle, that when it finally happens, it just happens all too fast. With only one book to go, Riordan has done a nice job of keeping fewer and fewer plot lines dangling so that I think he'll be able to tie up the story nicely. I'm looking forward to the final installment, but at the same time, as this has been an enjoyable series to read, will be sad to see the story come to an end. 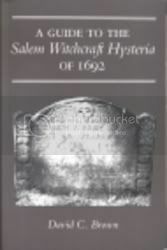 A brief history of the Salem Witch Hysteria of 1692, David Brown does a good job of condensing down the happenings and facts into a slim volume that cuts out the extra details and basically gives you a "just the facts" history of that year. Included are also maps of the areas with the pertinent locations marked, so that if you were to visit the area, you could find these locations easily. Also included is a chronology of events, and an additional bibliography for further reading. If you are interested in the events of the Witch Trials and are looking for a quick, easy read about them, this would be for you. To be honest, this book shocked me. I'd been hearing nothing but great reviews about it from everyone, and when the online book club that I belong to selected it to read, I was happy to have a reason to pick it up. I didn't really know anything about it, just that everyone kept saying what a powerful book it is. And they aren't wrong. The Hunger Games takes place in an undetermined future, in a country that is now known as Panem (once North America). Panem consists of the Capitol, the ruling city, and 12 districts surrounding the Capitol. Once, there were 13 districts, been during an uprising, the Capitol demolished the thirteenth district. As a constant reminder to the remaining twelve districts of its authority and power, each year the Capitol requires a pair of tributes from each district, one boy and one girl, be selected in a reaping and then be sent to participate in the Hunger Games, the ultimate in reality television; the Games are broadcast for the entire country to see. The idea is, each of the 24 tributes are places into the Arena, an ever-changing venue built each year for the Games, and they are forced to fight to the death, until there is only one tribute standing. That tribute's district is then honored for the next year. Katniss Everdeen, 16, has been providing for her family ever since her father's death in a mining accident. Her best friend, Gale, has been providing for his large family as well. This will be Gale's last reaping. At the age of 18, he will no longer be required to participate if he is not chosen this year. Katniss' younger sister, Prim, barely has a chance of being chosen. At just 12, Prim's name will only be in the reaping once. However, when Prim's name is chosen, Katniss jumps to her defense and volunteers to go in her place. The other tribute from District 12, Peeta, helped Katniss years before, when she was on the edge of starvation, and she hates that she feel that she owes this boy and is still required to kill him if the opportunity presents itself. Beyond this, I don't want to say much more, because any more that I reveal about the story will lessen it's impact when you read it. Needless to say, Suzanne Collins does not sugar-coat the necessity to kill your rivals in the Hunger Games. This is not an easy task for the participants, and Collins makes you aware of that every step of the way. The tributes are all very real, three-dimensional characters, each with their own agenda and tactics for staying alive. Collins does an amazing job of creating the conflicting feelings in Katniss; is it possible that she can be a good person, and a cold-hearted killer at the same time? Underneath the brutality and the crooked means by which the tributes are placed into their predicament, you can't help but feel pity for them; that they are forced into this situation against their will, and are forced to make such adult decisions at such a young age seems almost intolerable for them at times. 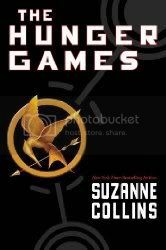 With a bleak and sometimes desperate story that is sprinkled throughout with glimpses of hope, Suzanne Collins' The Hunger Games is a fast-paced, no holds barred thrill ride of a book, that will leave you literally hungry for more at the last page.